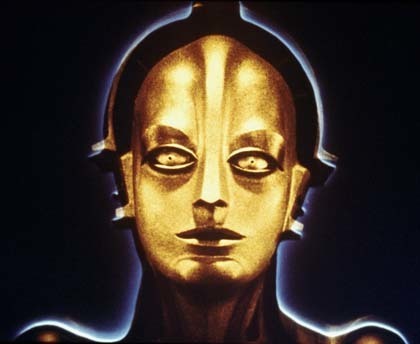 ​​ Our first step is to disassemble as much of the robot as possible. 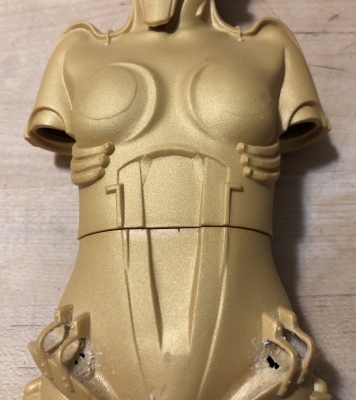 By removing its arms we can obtain better access to her midsection which is where a great deal of sanding and filling will take place. We also must decide what pose we would like our robot to assume. 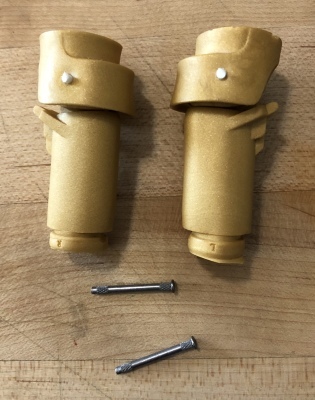 There are about 12 points of articulation but I think we are going to permanently secure some of the joints since we do not anticipate handling the finished statue. Maria would appreciate this we think. We will be using a Dremel Stylus for much of our detail work including diamond tipped grinding bits and needle files. 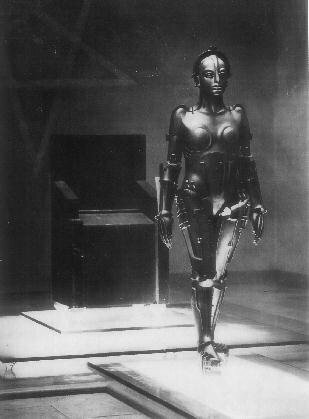 ​​ Maria's head matches well the original robot which will free us up to focus more on other areas. We will use some careful shading and washes during the final paint in order to bring out some of the details in the recesses along her brow and eyes. 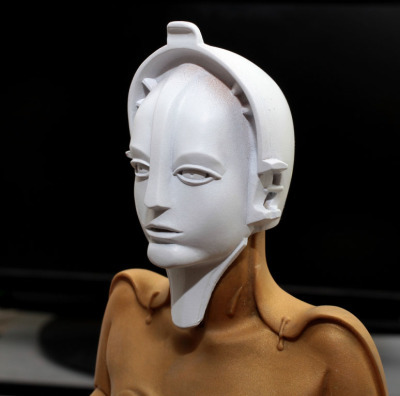 ​​ The original Maria does not feature a seam around the torso which represents our first big challenge during this project. 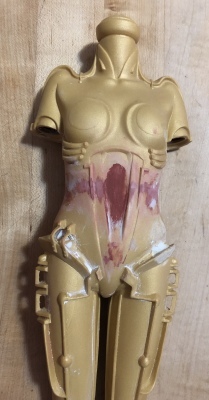 The lower and upper halves of her torso do not match up well which will require body filler in order to correct. Ugh. 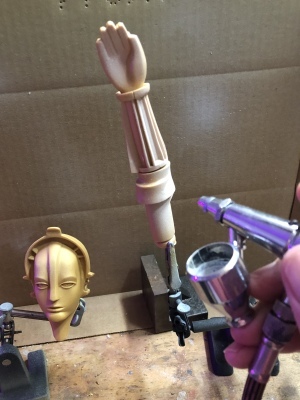 We will secure the torso using super glue and then start the arduous process of filling, sanding and more sanding. ​​ The alignment of the upper and lower torso is not great since our goal is to eleminate any seam lines altogether. We used a Sharpie to mark off the material needed to be removed and then started sanding with the Dremel as seen in the picture on the far right above. 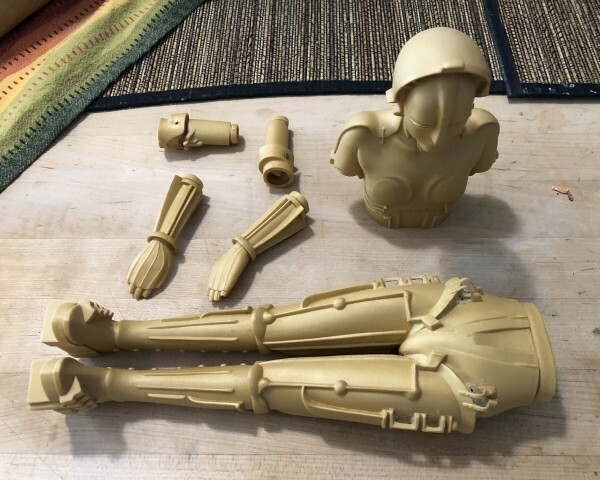 ​​We disassembled Maria's arms and removed the metal pins and replaced them with plastic rod. 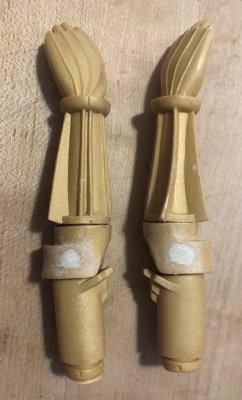 Our hope is to sand the ends flush and fill with the Milliput for a smooth finish. 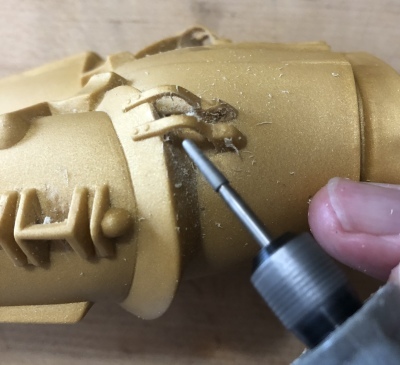 ​​ As we continue cleaning and smoothing out the seams in Maria we decided to remove the bands or clasps that secure the legs to the lower torso. There is something about them that does not look right and we know that we can do better. Once we are satisfied that the elbow pins have been sealed we applied several coats of Vallejo Primer Grey. 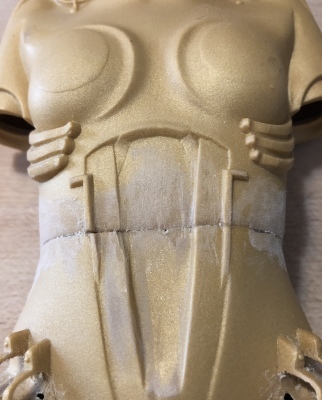 ​​ In addition, we made the decision to fill the statue with Plaster of Paris to not only give the statue a more solid feel but to help fill in some of the holes in the vinyl. The vinyl is quite thin is some places which makes our job a lot tougher. 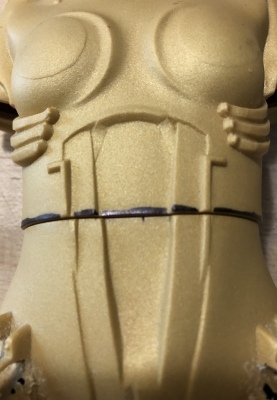 We took our Dremel and begain carving out the seam between the thigh plates and the lower torso.